Twenty miles south of Washington, D.C., at the confluence of the Potomac and Occoquan rivers, Occoquan Bay National Wildlife Refuge is an oasis where migrating birds and busy city residents both seek a quiet escape from development. Its diverse grasslands and marshes attract songbirds, raptors, waterfowl and butterflies that depend on meadows and open water for their food, nesting sites, and a place to rest. Visitors share this feeling of respite as they hike trails and watch wildlife drawn to the one-square mile refuge, an oasis in an urban setting. 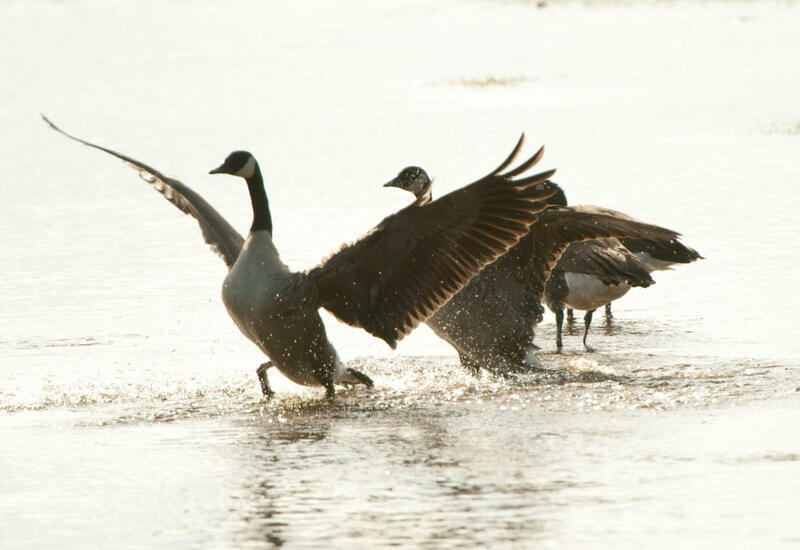 The Refuge permits hunting within state guidelines in compliance with a hunt program that is adjusted each year to ensure safety and sound wildlife management. The Occoquan Bay Refuge has held an annual deer hunt since 2001. The hunt is a cooperative effort with the State of Virginia Department of Game and Inland Fisheries (VDGIF).